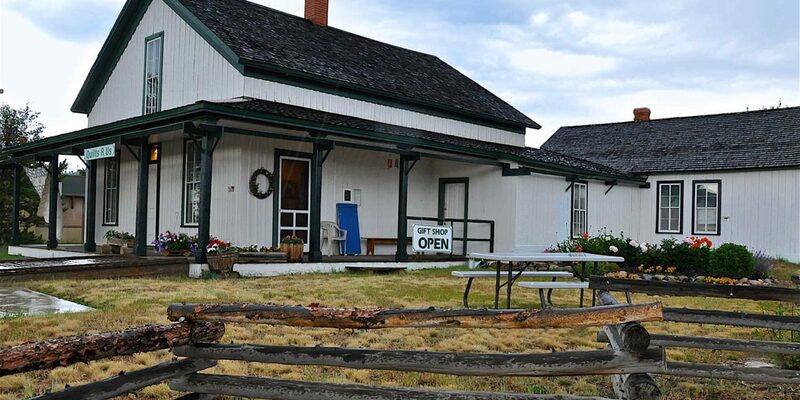 Cozens Ranch is the little museum that could. Starting out as a homestead, the ranch became a community center much as it is now for the town of Fraser. GCHA schedules several walking tours, history chats and treks out of the museum. Far-ranging topics have included Charles Clayton’s Fraser Walking Tour; Dr. Jason LaBelle’s Archaeology of Rollins Pass; Helen Thorpe’s Women Soldiers; Trine Bumiller’s Artist Residency in Rocky Mountain National Park; Frank Pilkington’s and Tim Nicklas’ talks on Winter Park’s history; and Martin Smith’s Duck Stamp investigations. These talks are free or up to $5 and include homemade cookies by Cozens famous volunteers. Attendance grew so large that most adult educational programs are now held at the Historic Fraser Church. Cozens schedules free Kid’s Educational Programs as well, with an annual Christmas at Cozens with lots of hands-on, make-and-take art projects and cookies to Heritage Arts Day, where, this year, kids had the opportunity to learn about fiber arts and bead making. All youth groups attend all GCHA museums for free. This year Cozens has hosted the Fraser Boy Scouts, Fraser Valley Elementary 4th Graders, Kremmling 4th Graders, Shining Stars, and Grand Beginnings Preschool classes. These free educational programs include tours, scavenger hunts, and costume make-believe. Cozens Ranch Museum is just one of four museums that GCHA operates in Grand County. 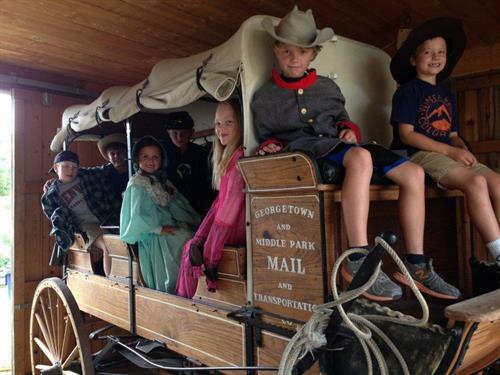 The first museum was Grand County Pioneer Village Museum in Hot Sulphur Springs, started in 1974. Grand Lake Area Historical Society started its Kauffman House Museum a year earlier in 1973. While GCHA supports and applauds Grand Lake’s history efforts, it is it’s own organization. GCHA then opened Cozens in 1991, and Heritage Park in Kremmling followed soon after. The Emily Warner Field Aviation Museum opened 2 years ago adjacent to the Granby Airport and is always free. How does GCHA pay the bills of four museums with only 2 full-time staff and an annual budget of about $150,000? With hard work, a determined board and scores of volunteers. Three years ago, GCHA counted on $50,000 a year from the Board of County Commissioners for funding. This year, through no apparent fault of our own, the county has lowered funding to $10,000. Funding from The Grand Foundation is less than a third of that. It’s not surprising that in a county with over 150 needy non-profits, that funding for the humanities takes a backseat. What’s more important, the health of a child or preserving a priceless local artifact? We’d clearly say the child. 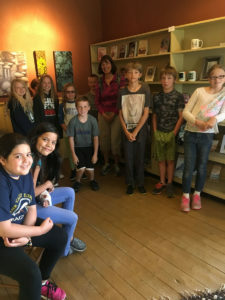 Still, GCHA believes in its mission to educate the pubic about its unique heritage and to preserve Grand County history for future generations. GCHA strives for community impact and support through essential programs on history, culture and the arts. The heritage of Grand County is endlessly fascinating and appreciated by the majority of residents. 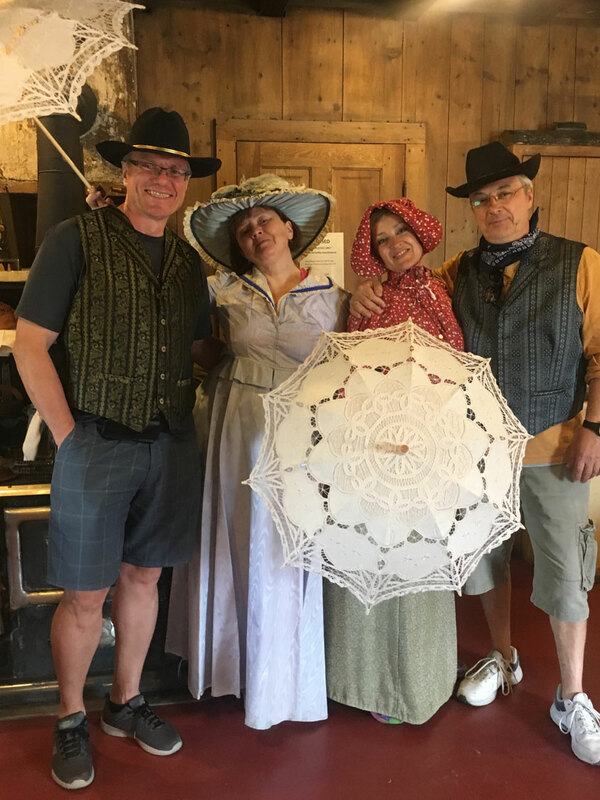 There are many ways that caring citizens can support their museums, and especially Cozens Ranch. First GCHA offers memberships starting at $35 to include free admission to all four museums and discounts on books and events. 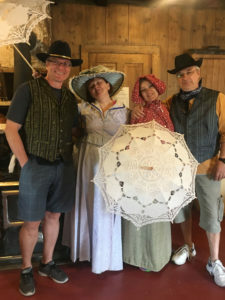 The major annual fundraiser is the Taste of History Champagne Brunch being held this weekend, Saturday August 26 at Casa de Engel, located at 540 County Road 5, on the hill overlooking the Fraser Ballfields. Please stop by Cozens Ranch Museum to learn more about local history, see contemporary art, and play in the Kid’s Corner and Costume Room. For more information on membership and the Taste of History, please go on-line at grandcountyhistory.org, stop by, or call 970-726-5488.